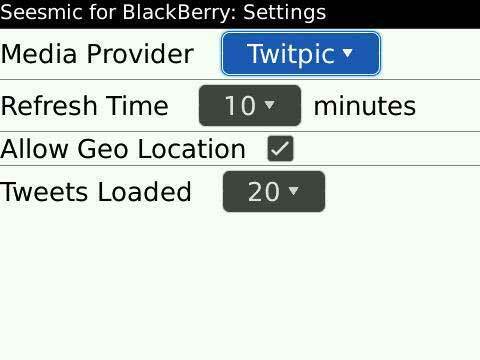 Late last week, Seesmic released new Twitter client applications for Android and BlackBerry. 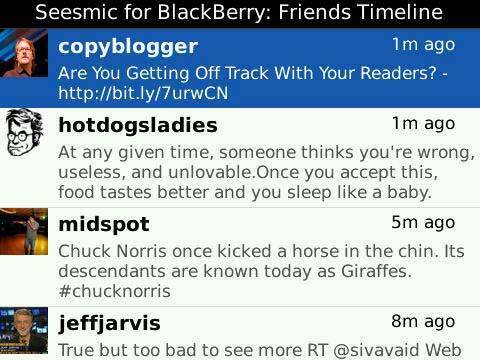 Since I’m currently a happy user of TweetGenius on my BlackBerry Tour 9630, I thought I’d do a quick comparison. 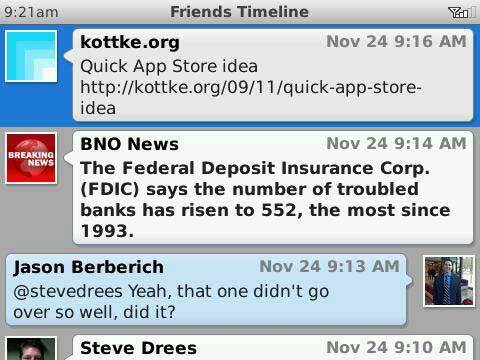 It’s worth noting that the version of Seesmic for BlackBerry I’m showing you is currently an Alpha release, so it’s still buggy and incomplete. 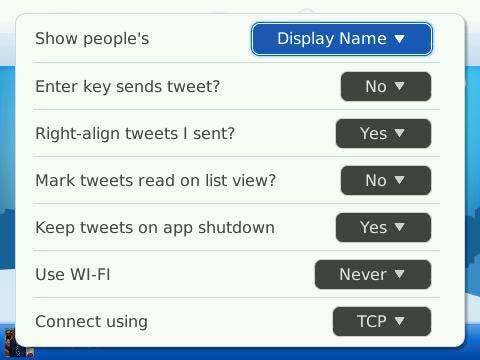 Seesmic has a good history of frequent updates though, so fixes and new features should appear rapidly. 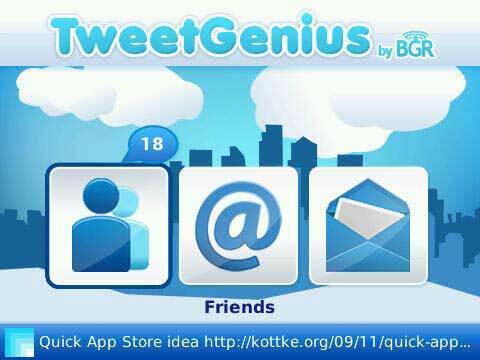 I’m a big fan of the TweetGenius user interface, too. It probably has the best design of any application I have on my Tour. 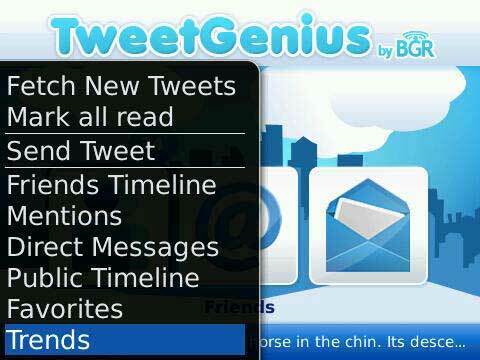 TweetGenius has an extensive settings area where you can customize many of its options. 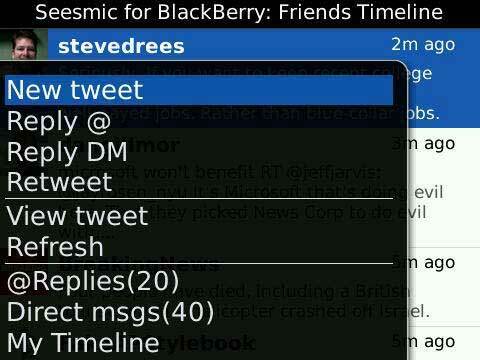 Even though this alpha release of Seesmic is pretty rough, it’s good when compared to some of the other free Twitter clients for BlackBerry. Get used to that menu, because you’ll be using it a lot. 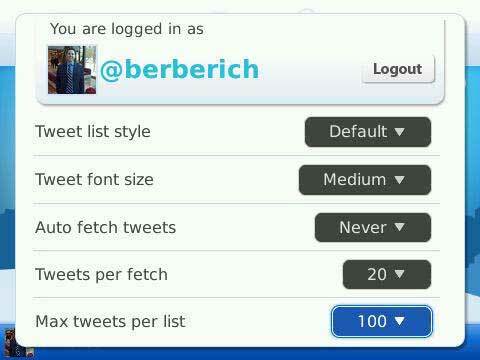 I have no plans to switch over to Seesmic from TweetGenius anytime soon, but I’m definitely going to keep an eye on it. Its maker (also called Seesmic) has a reputation for listening to user feedback and innovating quickly, so I expect it to be a real competitor very soon.